Dr. Min graduated the medical school from Johns Hopkins University School of Medicine. She did her residency at NYU School of Medicine and completed an internship program at Harbor Hospital Center. She is specialized in Radiology and board certified in Radiation Oncology. 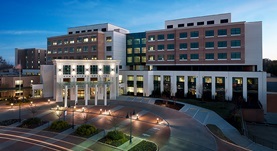 Dr. Min has been in practice for more than 6 years and is affiliated with Kennestone Hospital. During her career, she has also contributed to 1 publication of medical interest. Dr. Christine Min has contributed to 1 publications. Min, C.,Bangalore, S.,Jhawar, S.,Guo, Y.,Nicholson, J.,Formenti, S. C.,Leichman, L. P.,Du, K. L.; Oncology. 2014 Jan 18.